It's winter. What does that mean? Well, to some, it means it's time to stay warm and drink hot chocolate. To the West Meck track & field team however, it is time to put in work. Our indoor track team, coached by Coach Willoughby, has started the 2017-2018 season off on a very positive note. 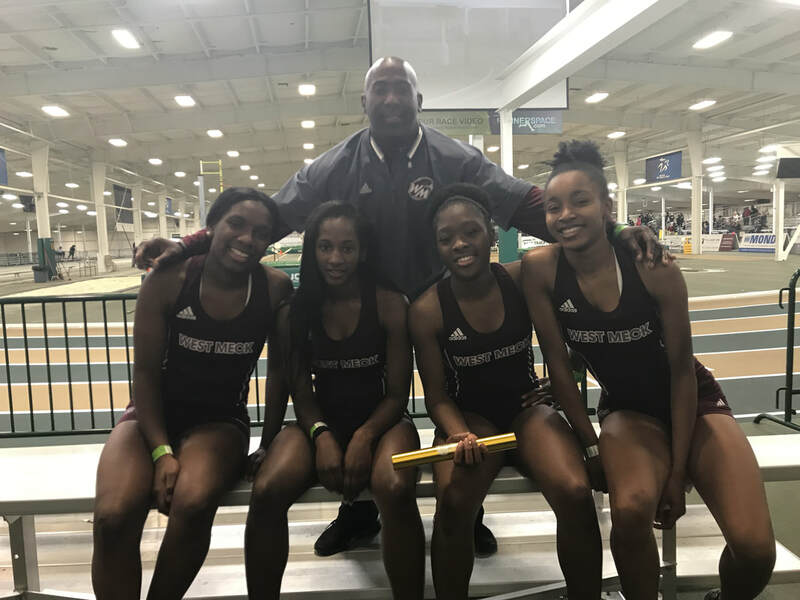 Staying true to history of West Meck relay teams, our girls team have two of the best times in the state in the 4 x 200 and 4 x 400. Pictured above, Ebin Matthews, Za'Nya Page, Mekyll Robinson, and Jireh Pinkney are al underclassmen. 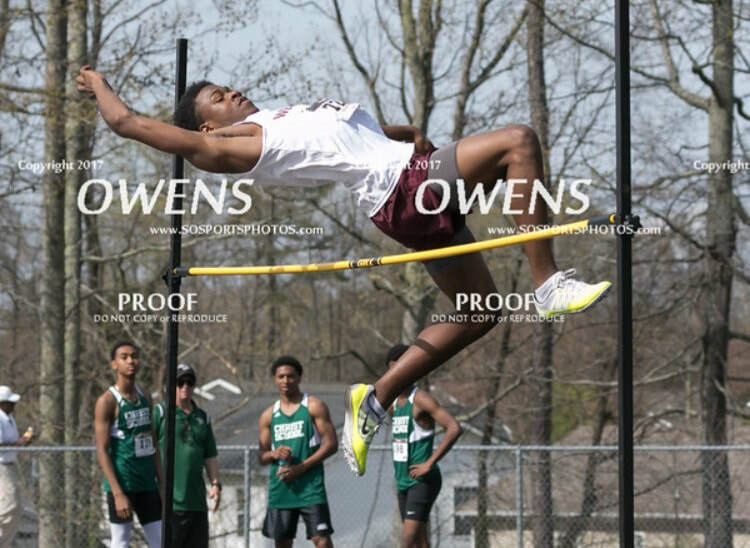 The boys team is led by junior Jaquan Ebron, a standout wide-out on the football team, who has qualified for the state companionship already with a personal best jump of 6 feet 2 inches. Coach Byron Hughes expects to be taking a trip this year to the state championship tournament to be able to compete in every weight class. He stated “ Our team is definitely going to grow this year, as compared to the number of wrestlers. Last year we had a team of six wrestlers, got two conference champions and a conference bronze. Out of those six wrestlers, we managed to qualify five for the regional tournament. Coach Hughes Challenges In CMS are, there are no middle school wrestling and there are not enough wrestling clubs in the Charlotte area it is difficult to recruit experienced wrestlers at West Meck. Many student-athletes at West Meck do not have a strong culture built around wrestling. Majority of our students typically do not grow up wrestling like they do others sports such as, football, basketball, or soccer in their community. This makes it difficult to recruit new wrestlers. A lot of people in our community say that they did not even know we had a wrestling team. the best teams in the state. This year West Meck has a new swim coach, Mr Goins. He is 69 years old and has a 6 year degree and also teaches karate and chess. He explained to me that the reason he became a swim coach is because of his concern for our young people. He says that swimming is not a sport, it’s life. Mr. Goins made it clear that he is determined to beat the statistics and help the younger generations. As I interviewed him, he gave me a little insight into swimming and what it’s all about. For example, safety concerns, there is 0 horse playing in the water and it is better to stay cautious and always keep your guard up. Mr. Goins also told me about many of his accomplishments, when he was 65 he became a lifeguard and he is a senior lifeguard and swim instructor at YMCA. The swim team trains very hard according to Mr. Goins he makes sure to teach his students form and make sure they know how to kick and have their body positioned right in the water. He also teaches them endurance and different stroke styles. Swimmers development all depends on how much they swim and the best thing to do is swim, swim, swim always practice and stay in the water. Come out and support all of our star athletes. Help our Hawks keep their heads in the game. Meet Ms.Erica Stokes, also known as the girls basketball coach. She went to a school in South Carolina. She started coaching over 13 years ago because she loves the game and also wanted to give back. She said that it was something that she loved. When it comes to having a favorite player she can’t because it’s a team as one and the team overall. Their biggest competitors are Audrey Kell and South Mecklenburg High School. The record so far is 3-4. This year their goal is to have more than 9 wins. In order to make this possible the team will work hard to achieve that goal. “ We have a chance to make it, as long as we work hard we’ll make it, if we continue to work as hard as we’ve been working” she said. At the end of the day coach Stokes is very confident in the team and knows that the team will do better every year and the girls want to work hard and be consistent with how hard they push to do better. One thing that Stokes can guarantee is that everyone that was on the team this year will be on the team the next season. Mr. Vernon Hunter is the Athletics Director at West Meck. While talking to Mr. Hunter he stated that he wants West Meck’s athletic program to “grow and be more competitive”. He wants more drive from our future leaders. 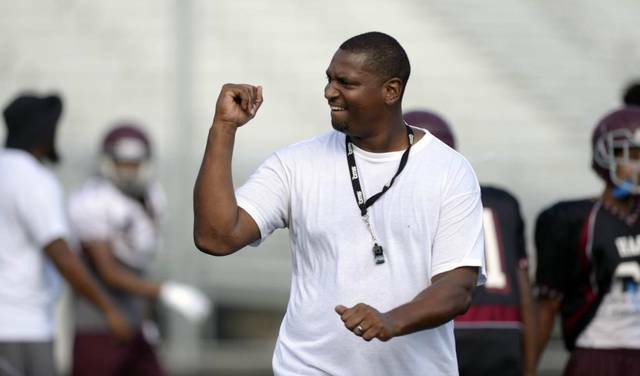 He enjoys his job and is determined to not only uplift himself, but West Meck athletes as well. Mr. Hunter believes that by creating a shared vision, the goals he has set for the athletes and the program will eventually be met. The things that motivate him most are seeing student athletes excited and compelled to compete in the games and activities at West Meck. There are also some challenges and concerns he wants to work out, like making sure student athletes handle business and keep up their grades. He also would like to have more parental involvement. When asked about the steps he would take to ensure his growth as the A.D he stated “ professional development, attending conferences, and being prepared as possible” will help him to grow. If you are unaware of the activities taking place Hunter also has a plan for that. He says he will use the various sources of technology, emails, meetings, and West Meck website to make sure the school and the community are up to date about athletic activities. Head Coach Darion Davis and his team are a persistent and ambitious group who refuse to stop working hard. Take a walk around campus after school and you will see the soccer team running, kicking, jumping, and doing whatever it takes to perfect their craft. In his first year at the helm, Coach Davis maintains his faith and love for the game to deal with the pressures of being the head coach. He allows his team to share in the decision making and guides them into selecting and achieving their goals. One of the key players of the team is a hard working young athlete named Benjamin Boakye - Yiadom. Although he is short in size, he makes up for it in heart and aggression. Another key player to the team is unfortunately suffering from asthma related illnesses, but that does not stop the team from striving to become the best they can be. When most teams go inside or cancel for bad weather, the soccer team is outside training. They even show up on Friday’s for grueling work in the weightroom. Coach Davis says all of the remaining games are important and would like the West Meck community to come show support for the team. West Meck cheerleaders are making more improvements this year. The coach has pushed herself to be firm and consistent with them. This is the start of a new season and the coach wants to make sure that all the cheerleaders are working hard and trying their best. The cheerleading squad is sometimes overlooked as a sport but they are here to prove they deserve everything that other sports have access to. Coach describes her team as outgoing. They have a lot of personality and their individual ways contribute to the team. West Meck cheerleader Serenity Lockhart has been recognized as a person that has made a great impact for the team. Serenity has taken on leadership aspects that she did not do so much of last year. Come out and help the cheerleaders support the football team. So we can all show HAWK PRIDE! West Mecklenburg Football Coach Davis and his team are very confident even though they are without the services of their starting quarterback for the remainder of the season, due to injury. "The team is staying focused to win one game at a time," Davis stated. “Everyday is a learning experience, he added. The Hawks are highly ranked in the area and have a high powered offensive attack which ranks among the best in the SoMeck conference. Although the varsity team receives most of the attention, Davis stated, "the J.V. players push varsity everyday.” From observing the Hawks in action, it is clear that maturity and speed is their strength. Davis added that they will need to cut-down on mental mistakes going further into the season. Coach davis is a hard but fair coach. Everyday he motivates the players to work harder and stay focused. Varsity games are taking place every Friday night. Come out and support. Help our Hawks keep their heads in the game and make a deep run into the playoffs.